Alcohol and Psoriasis: Can You Have Beer When You Have Psoriasis? Can You Have Beer When You Have Psoriasis? So, do you think you can have your beer when you have psoriasis? Sorry, but you may need to find an alternative beverage for your party nights. It has been found in studies that the risk of psoriasis is higher in people who consumed beer than those who abstained from it. Barley is commonly used in the fermentation process of making beer; it contains gluten, a substance that many psoriasis patients are sensitive to. Psoriasis plaques: This is a common symptom for psoriasis, but alcohol has a tendency to cause drying of the skin. It only aggravates skin conditions. 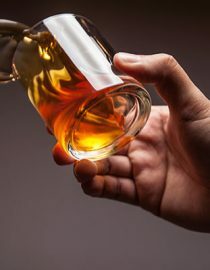 Lower response to treatment: If a psoriasis patient drinks beer, it can interfere with the medications for the condition. It can block the drugs actions or decrease them. Flare-ups: Consuming beer can cause flare-ups, especially when drinking a lot of it. Weight gain. Though there is no explanation, patients with psoriasis are predisposed to gaining weight. Alcohol has a lot of empty calories and it can cause people to gain unwanted fat. Carrying around excess weight has its own problems for a psoriasis patient. Depression can set in whereas the additional pounds and psoriasis itself can make people avoid social situations. Liver damage. Methotrexate is a medication that may be used to treat psoriasis. It has the potential to tax the liver if a person takes it long-term. Drinking alcohol can only potentiate the effects on the liver. Liver disease is not a laughing matter. This issue should be brought up to the doctor if you are on methotrexate and you drink. The Root Cause. It could be that drinking non-light beer was what brought about your psoriasis in the first place. You may be happy to find that light beer is o.k. to drink as it has no gluten in it. Red and white wines and other liquors that are not made with starch are acceptable for psoriasis patients as well. Shop around and explore the different alcoholic beverages available. Red wines have antioxidants that are good for the heart; however, moderation is the key. You should be wise in how much you consume at a time. Drinking responsible will extend your life, not only by protecting your liver, but by avoiding getting behind the wheel while being inebriated. Ask your doctor what an acceptable amount is for you to consume safely. More than likely, he will say none, but one to two for a night each week is generally the guideline for everyone.